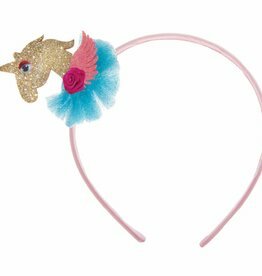 If you or your little one is dreaming of unicorns and maybe even a themed unicorn party, then you'll need this Unicorn Headband. 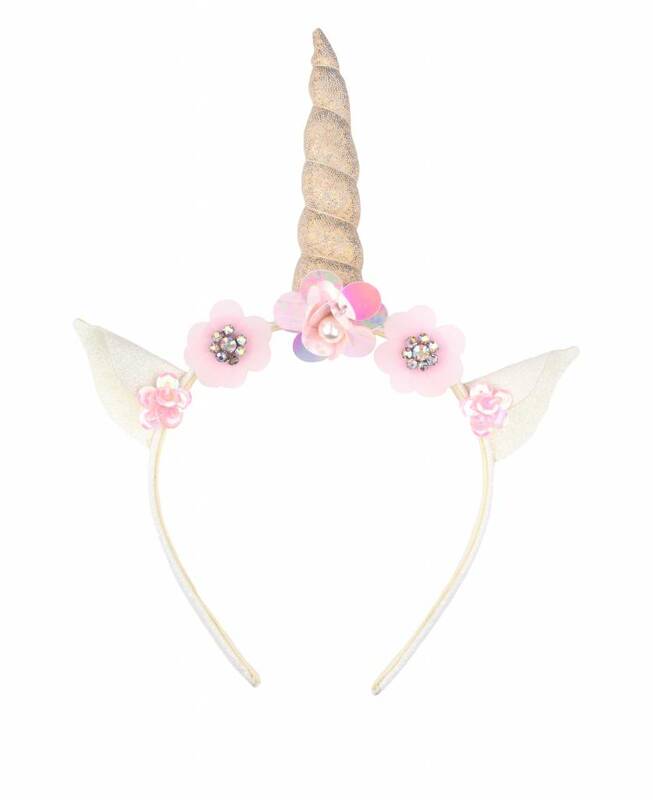 This majestic headband features a shiny gold unicorn horn with pink flower accents that matches the two little horse ears on either side. 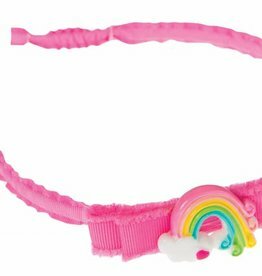 The headband fits comfortably on both kids and adults, so you or your little one can wear them during the entire whimsical unicorn party. Do you believe in the magic of unicorns? We sure do! 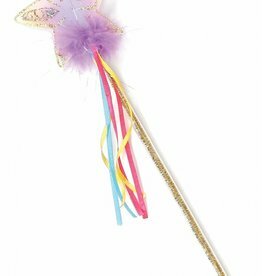 These wands are sure to work magic for little Fairies. Star shaped, with 2 colours of glitter, metallic sparkling stems and several colours of hot cut satin ribbon trailing, these wands are a sure hit. A colourful and classy headband to match any wardrobe and event. 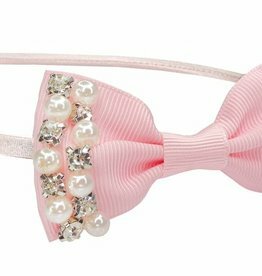 A stunning pearl and rhinestone pink covered bow on a silver ribbon-covered thin headband! For a special occasion or everyday wear. Soft to the touch with your child's comfort in mind. Unicorns are trending in a big way! 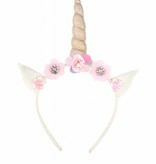 Our collection will provide even the most die-hard unicorn lover with the perfect accessory. 3D foam headbands match other accessories and look right at home on your adventure! With beautiful sparkle and the perfect matching outfits, these wands are an instant hit! 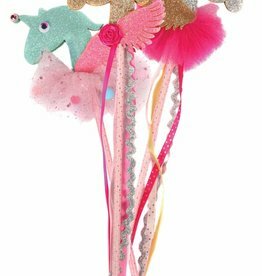 These unicorn wands are accented with fluffy tulle, 3D glitter foam detailing, and gems on the top. 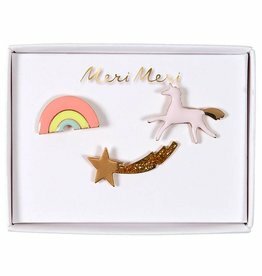 A set of lovely enamel pin decorations featuring 3 magical designs, beautifully crafted and embellished with shiny gold accents. A magical necklace featuring a translucent pink unicorn with bright tassel tail and gold chain. For a special magic party add unicorns! 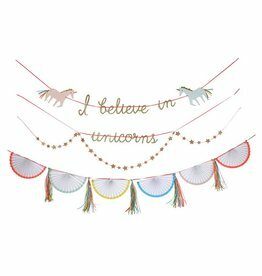 This stylish garland in 4 sections is the perfect decoration and features an array of charming unicorns in pastel colors, with gold glitter and ribbon embellishments. The text section reads 'I believe in unicorns'. 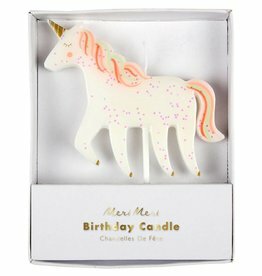 A delightful unicorn candle to light up a magical birthday celebration, with a colorful mane and tail, all embellished with shiny gold foil. Neon print with iridescent glitter & gold foil detail. 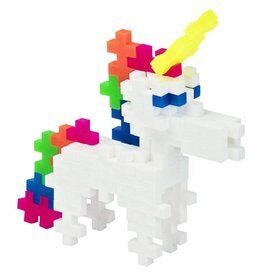 This Mini Maker Tube includes step-by-step instructions and all the pieces you need to build a Unicorn. Or, use your imagination and create your own design!